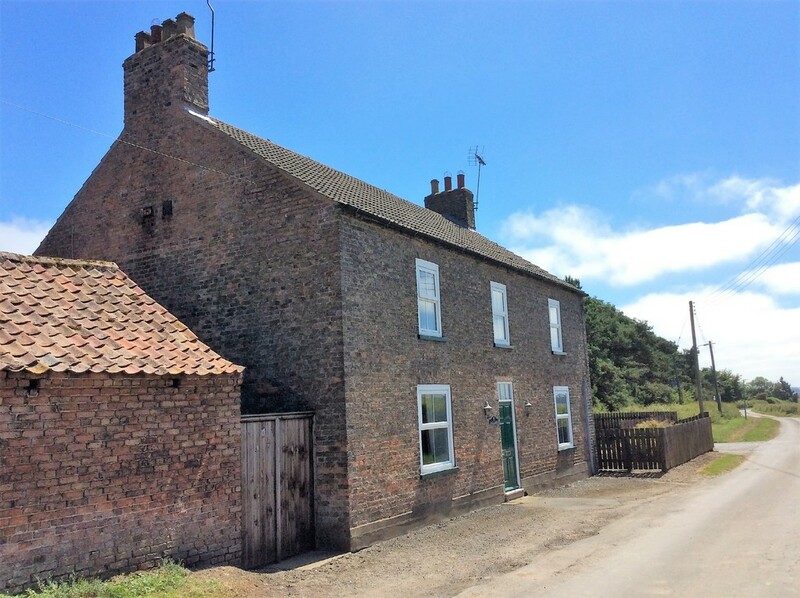 PROPERTY TYPE: A spacious detached house renovated in recent years to retain the country character of the location. 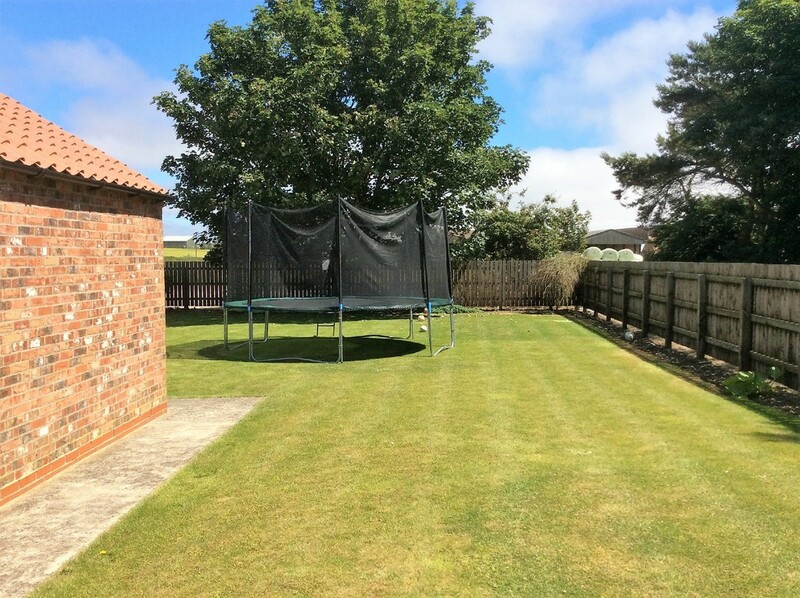 LOCATION: Standing in a peaceful setting in the village of Haisthorpe some 4 miles from Bridlington and 9 miles from Driffield the village straddles the main A614 road between Bridlington and Driffield as is on a main bus route between Scarborough and Hull. 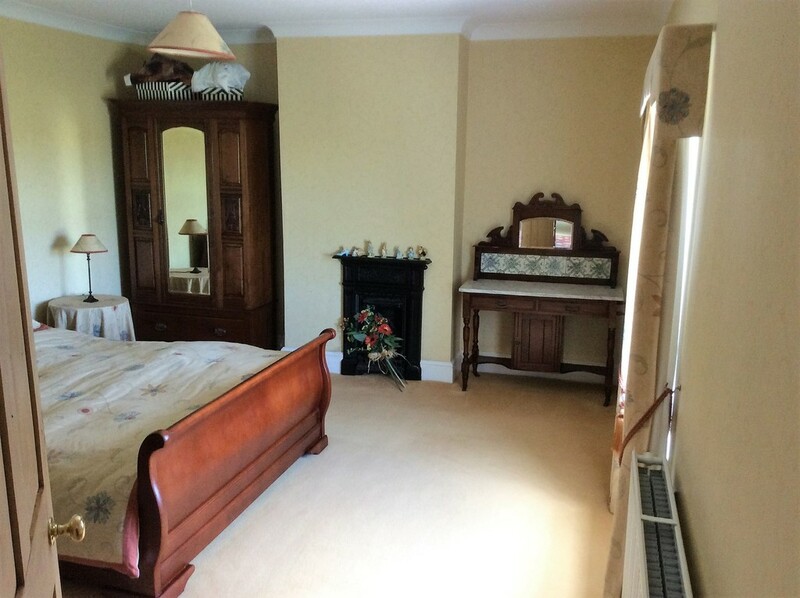 ENTRANCE HALL: A bright and airy access area with tiled floor, 2 single radiators, understairs cupboard. 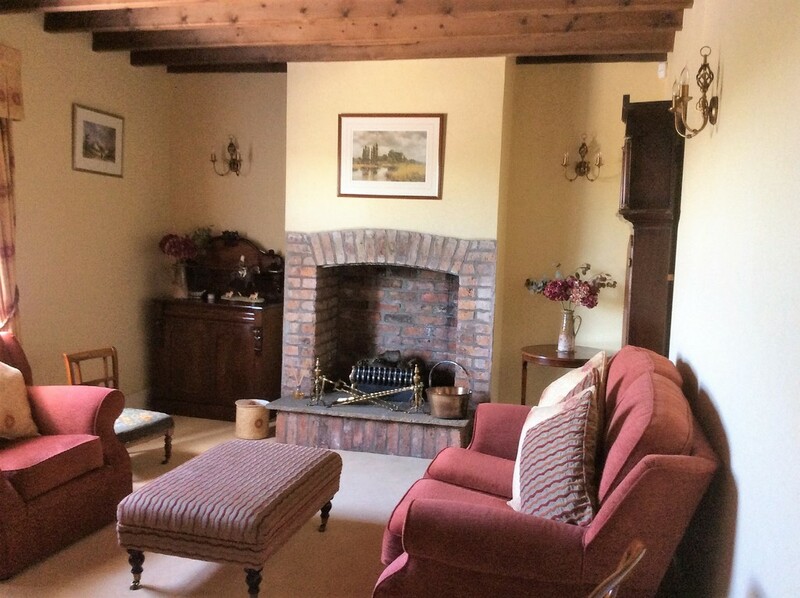 SITTING ROOM: 17' 9" x 12' 7" (5.42m x 3.84m) An attractive front west facing room with exposed beamed ceiling, brick fireplace with open fire, uPVC double window, double radiator, carpet. 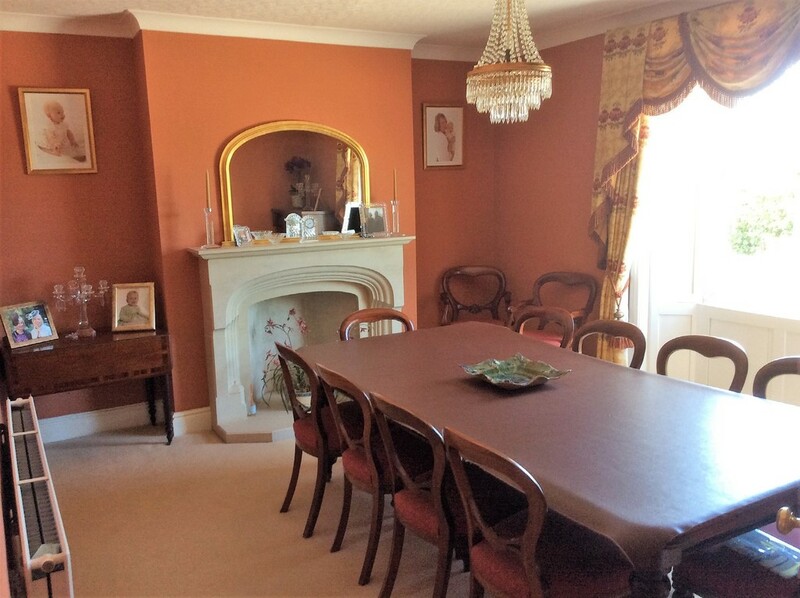 DINING ROOM: 15' 7" x 12' 5" (4.77m x 3.80m) An attractive and functional front west facing room with uPVC double glazed bay window, lined chimney with sandstone open fire and hearth, double radiator, carpet. 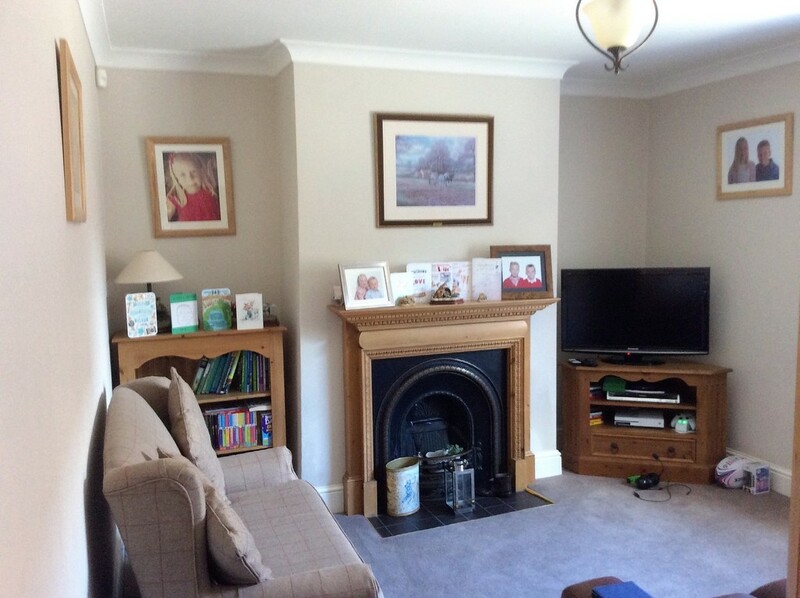 LIVING ROOM: 13' 9" x 12' 1" (4.21m x 3.70m) A comfortable potential family room with cast iron fireplace capable of use as open fire, uPVC double glazed window, double radiator, carpet. 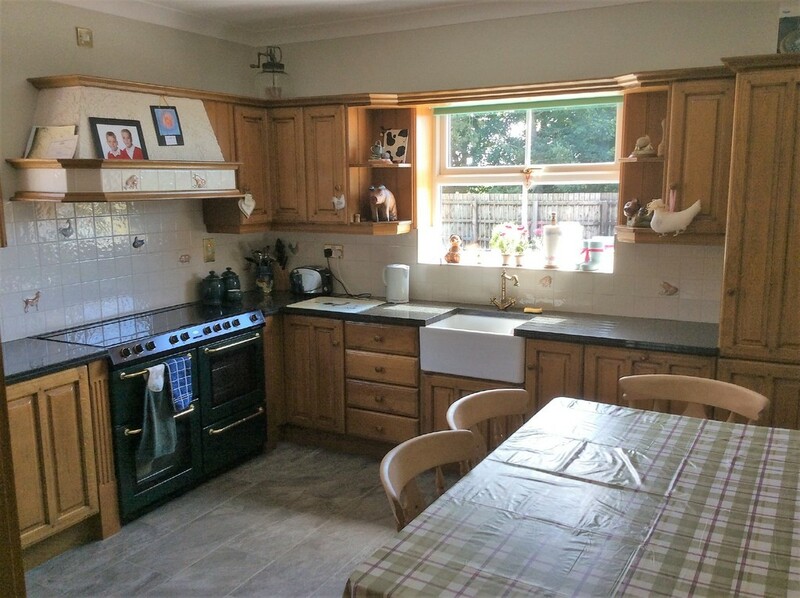 KITCHEN: 12' 1" x 12' 7" (3.69m x 3.84m) A delightful and practical breakfast kitchen with "Antique Oak" range of worktop units with granite worktops and tiled splashbacks and eye-level wall cupboards, plate rack and welsh dresser style glass fronted display cabinets, Belfast type sink with brass mixer tap, Belling Cookcenter Range with electric double oven and grill and five plate hob and griddle, stainless steel extractor hood, integral dishwasher and fridge freezer, double radiator, 2 uPVC double glazed windows, inset ceiling spotlights, tiled floor, walk-in pantry. UTILITY ROOM: 5' 1" x 5' 8" (1.57m x 1.75m) With stainless steel single drainer sink unit, worktop, plumbed for washing machine, uPVC double glazed window, tiled floor, oil fired central heating boiler. 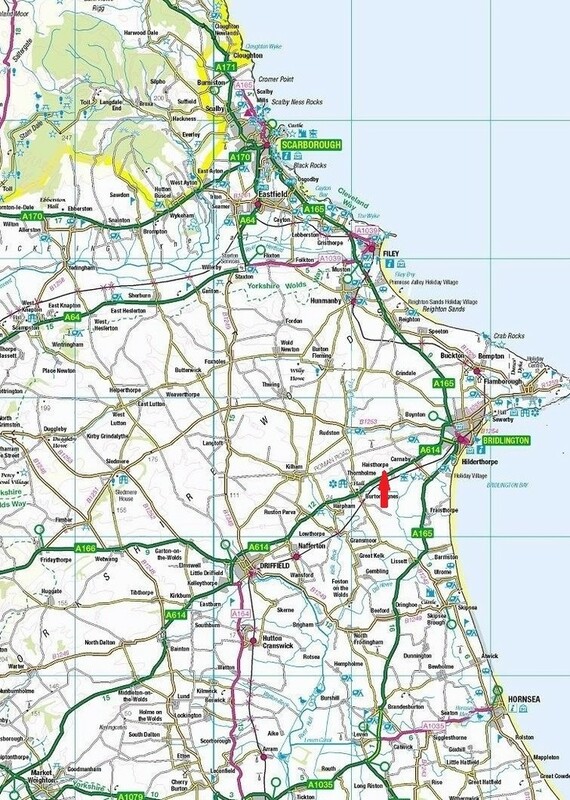 SHOWER ROOM: 3' 7" x 9' 0" (1.10m x 2.76m) A useful ground floor room which is fully tiled with shower cubicle and shower off mains, low level wc, pedestal washbasin, uPVC double glazed window, single radiator. STAIRCASE FROM HALL TO FIRST FLOOR LANDING: With uPVC double glazed window, single radiator. 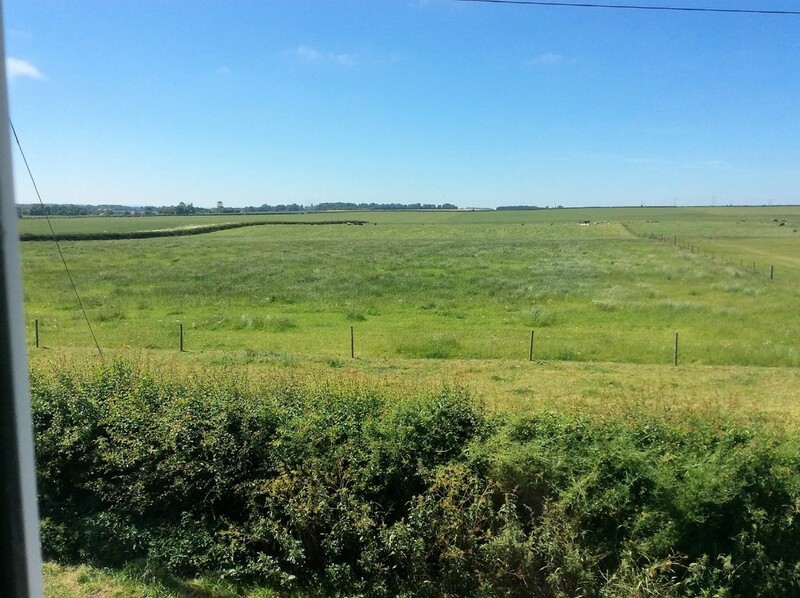 DOUBLE BEDROOM 1: 17' 9" x 12' 11" (5.42m x 3.94m) A west facing room with views over open farm land towards Burton Agnes Hall with uPVC double glazed window, double radiator, carpet. 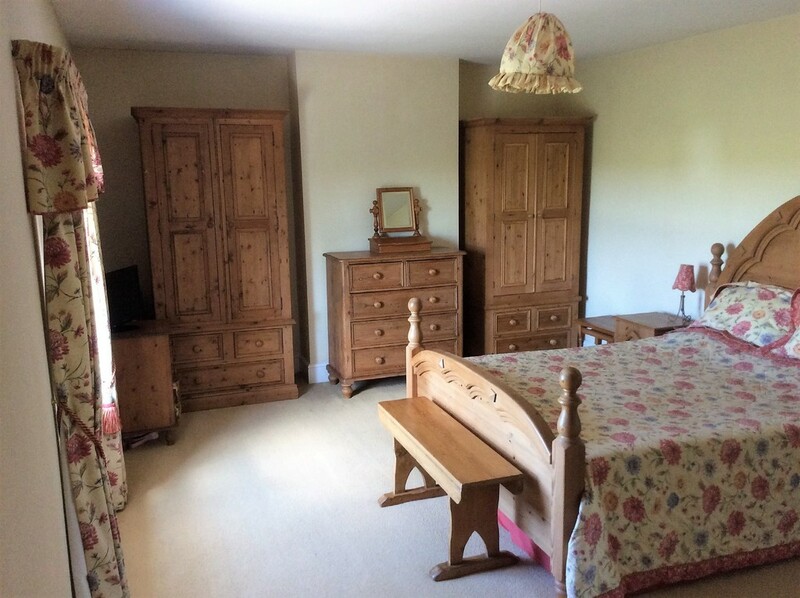 DOUBLE BEDROOM 2: 15' 10" x 12' 9" (4.84 m x 3.91m) A west facing room with views over open farm land towards Burton Agnes Hall with cast iron decorative fireplace, uPVC double glazed window, double radiator, carpet. 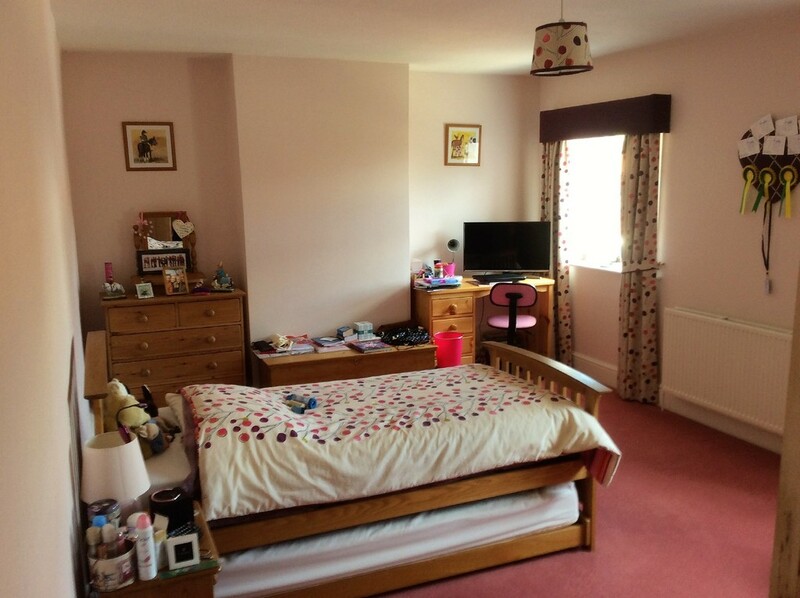 DOUBLE BEDROOM 3: 18' 1" x 12' 4" (5.52m x 3.78m) With 2 uPVC double glazed windows, double radiator, carpet. 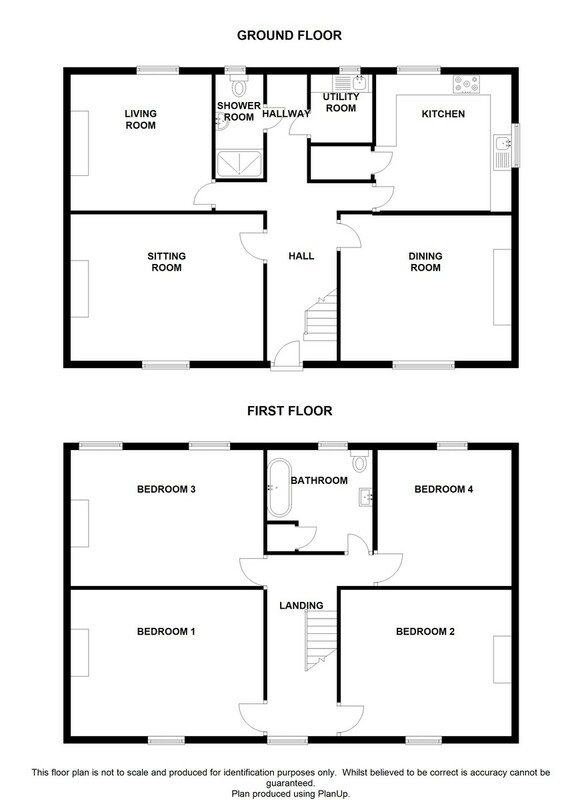 DOUBLE BEDROOM 4: 12' 5" x 12' 7" (3.79m x 3.84m) With uPVC double glazed window, double radiator, carpet. 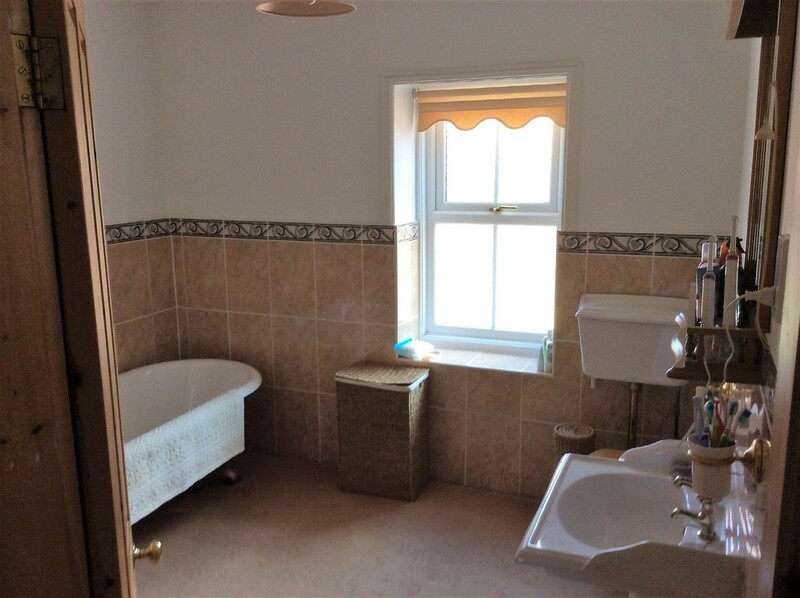 BATHROOM: 9' 9" x 8' 11" (2.98m x 2.73m) Half tiled with antique style claw and ball foot freestanding bath, pedestal washbasin, low level wc, uPVC double glazed window, double radiator, airing cupboard with cylinder and immersion heater. OUTSIDE: Yorkstone rear patio area, concrete path to rear, side lawned garden, gravelled driveway with concrete parking area to front of garage. 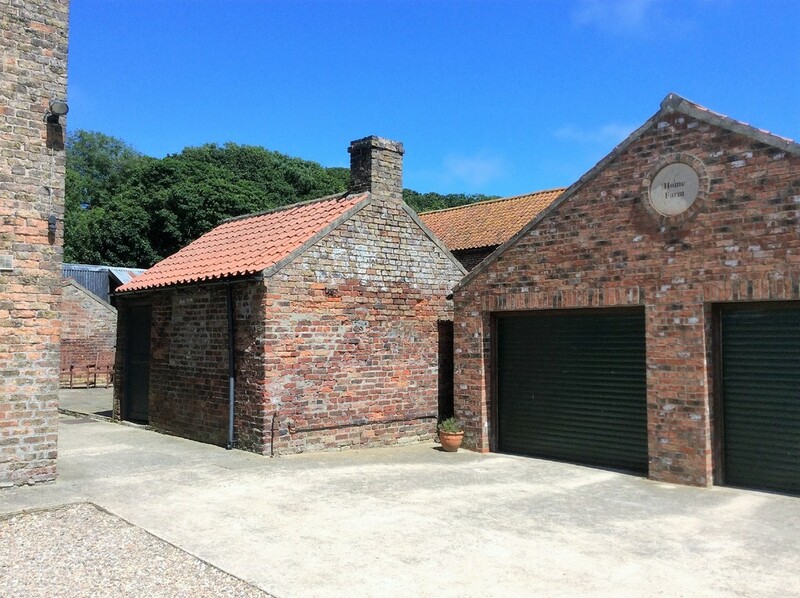 DOUBLE GARAGE: 21' 3" x 20' 2" (6.50m x 6.15m) Of brick and block and tile construction with 2 electrically operated roller shutter doors, light and power. BRICK & TILE OUTHOUSE: 14' 3" x 12' 1" (4.36m x 3.70m) With old copper base, concrete floor, light and power. 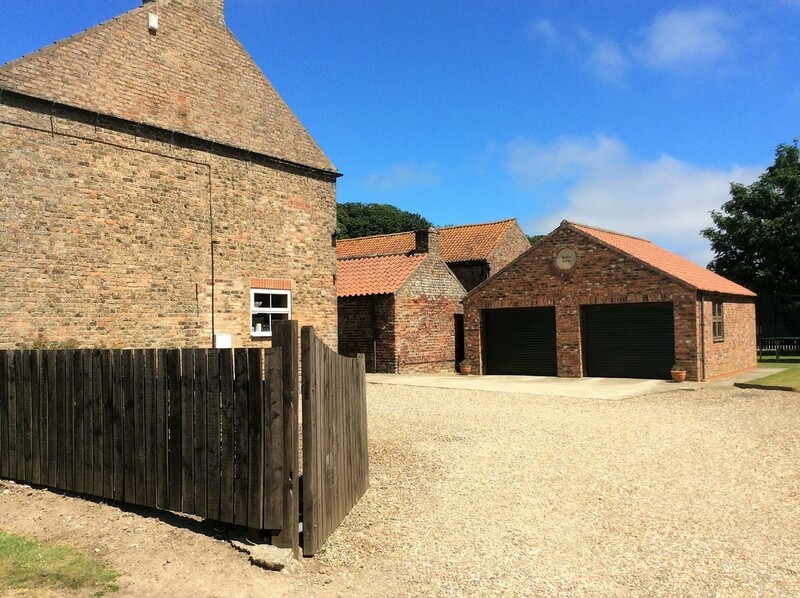 HEATING & DOUBLE GLAZING: Oil fired central heating is installed from the boiler in the utility room. UPVC double glazing is installed throughout. SERVICES: Mains drainage, water and electricity are available. 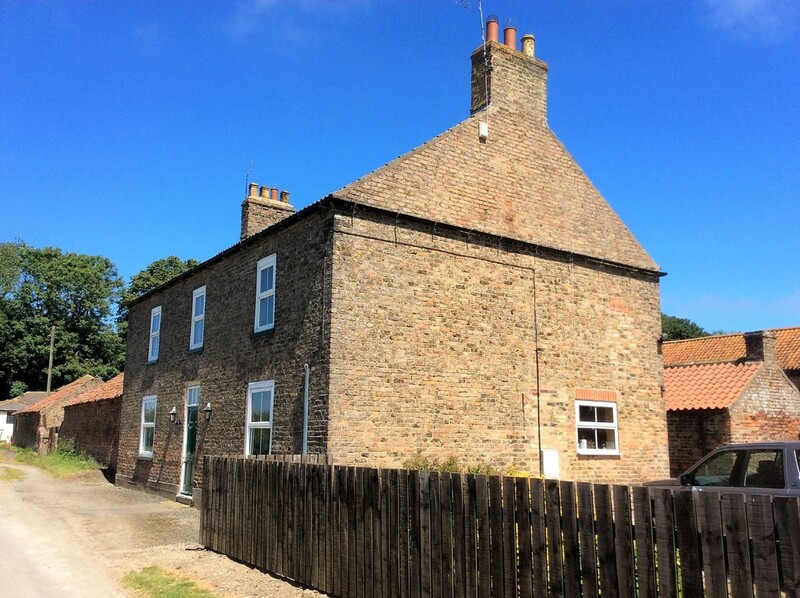 COUNCIL TAX: The property is in Council Tax Band E.
VIEWING: To make an appointment to view this property contact Cranswicks office on 01262 672110.